Product prices and availability are accurate as of 2019-03-19 00:50:33 EDT and are subject to change. Any price and availability information displayed on http://www.amazon.com/ at the time of purchase will apply to the purchase of this product. 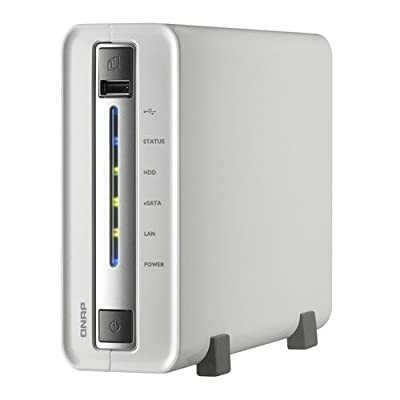 The QNAP TS-110 Turbo NAS is the most economic single-drive storage solution for Prosumers and SOHO users who want a NAS with compelling features, solid performance, low power consumption, and high reliability. Incorporating a Marvell 800 MHz CPU and 256MB DDRII RAM, the power consumption of the TS-110 Turbo NAS in operation is only 7W which is much less than that of a PC, and even an energy-saving bulb. 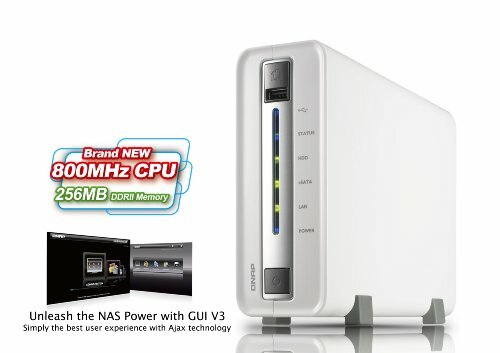 The TS-110 Turbo NAS is not only an ideal storage server but also a multimedia station to enhance your home entertainment experience. 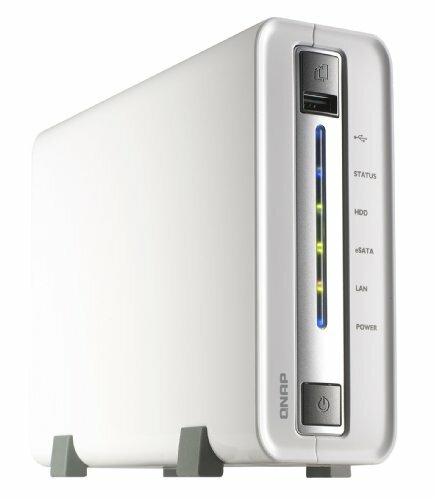 The built-in UPnP/ DLNA media server (with TwonkyMedia enabled) of the Turbo NAS supports gaming consoles, e.g. Sony PS3 and Microsoft Xbox 360, for media playing and the NAS works well with NFS-supported High-Definition (HD) digital media players. The TS-110 is also the perfect download center for high speed BT/ Emule/ FTP/ HTTP download. You can use the Download Station with the QGet utility to manage your download tasks remotely over the local network or the Internet. Also, the TS-110's AJAX-based NAS management software utilizes a web interface that allows intuitive management of all the Turbo NAS features. The TS-110 offers features more often found in much higher end NAS servers, including built-in iSCSI target service, remote replication, policy-based unauthorized IP blocking, SNMP (Simple Network Management Protocol), and network surveillance with two IP cameras (optional purchase).